This is an 18ct rose gold hand made mount with the clients own diamonds plus a few extra, stunning ring and very sparkly indeed. 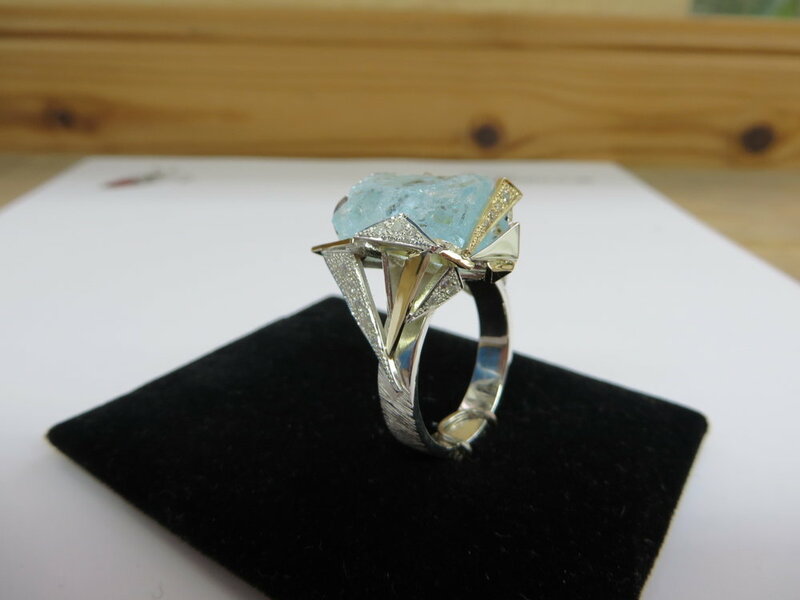 Designed by QVJ commission by a regular client silver and gold with a rough aquamarine and diamonds thrown in all over this. Morganite and cushion cut diamond in 18ct white and rose gold engagement ring alternative for this lady she only had the one ring and it is beautiful. Commissioned by a friends family for a big birthday gift these cufflinks in our trademark style had hidden card symbols and initials through the design with diamonds and druzy geodes.